Using the left's own tactics against them and punching back twice as hard, TruthRevolt is working to expose hypocrisies and bias in the media. An online conservative political website edited by David Horowitz, FrontPageMag has been in continuous operation for nearly two decades. Jihad Watch is dedicated to bringing public attention to the role that jihad theology and ideology play in the modern world and to correcting popular misconceptions about the role of jihad and religion in modern-day conflicts. Caroline Glick, an editor and syndicated columnist for the Jerusalem Post and serves as the director Israel Security Project. Reporting from Jerusalem, she adds an authoritative voice to the Freedom Center’s coverage of Mideast conflict. Discover The Networks serves as an encyclopedia of the Left. Close to thirty million readers and researchers have visited this encyclopedia of the left since it began. It contains fact-based data on individuals, organizations, causes, campaigns, and funders of the left. 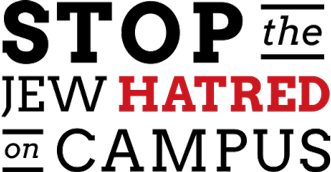 StoptheJewHatredonCampus purpose is to raise student awareness and combat the pro-terrorist propaganda on American campuses. The time has come to end the use of our universities as staging grounds for campaigns of hatred aimed at the Jews and Christians of the Middle East and at America itself. The time has come to stop the jihad on campus. Our outreach relies on the generosity of our supporters. Join us today.